Debbie, also known as our “poo-bag lady”, had to take some time off from her regular patrols of Chesworth Farm and we missed her! 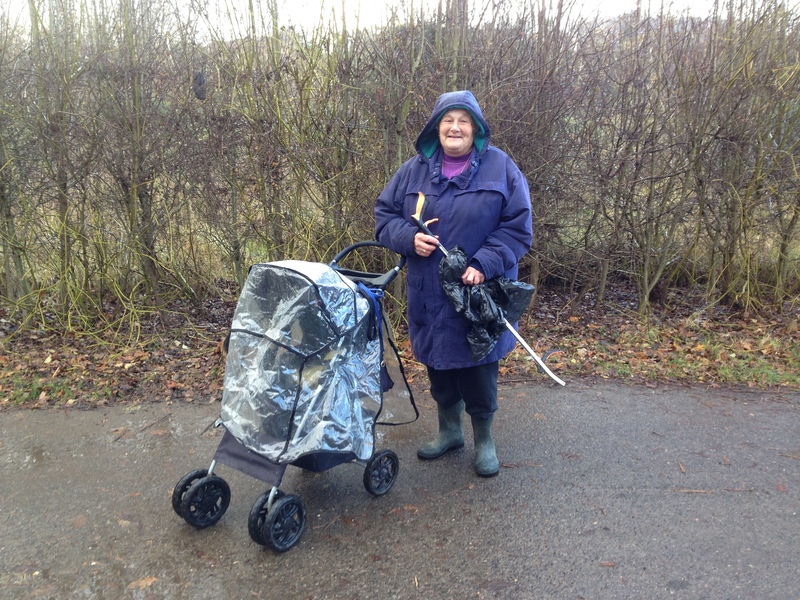 Yes, it is Debbie who regularly removes the dog-poo bags lobbed in some gateways and hedges. What a chore she has taken on and what a friend of the farm! Thankfully she reports there is less to pick up these days. To back up her work, the hardy Spring Farm Tidy volunteers will be clearing up all types of litter (plus spring cleaning the Volunteer Centre and hedge trimming) this coming Saturday afternoon 2-4pm. You are very welcome to join them, if you tell us you are coming, we will have the kettle on!